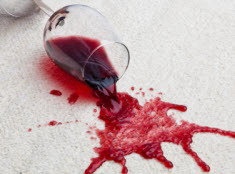 At Dixie Canyon Carpet Cleaning we are the leading local in carpet, rug, upholstery and other specialty services in Greater Sherman Oaks, CA and the surrounding areas. Established in 2006, we have provided residential and commercial cleaning services to satisfied customers for over 10 years. At Dixie Canyon Carpet Cleaning we are renowned for the quality of our services as well as the professionalism of our staff. Our prices are affordable without the worry of hidden costs. Our cleaning technicians receive a high level of training and use the best cleaning products and equipment available on today’s market. At Dixie Canyon Carpet Cleaning we offer a comprehensive list of carpet, rug and upholstery cleaning services that are both convenient and effective. Our qualified technicians will arrive on time with all the equipment, specialized tools and cleaning solutions to ensure your carpets, rugs & upholstery are professionally cleaned. Our hot water extraction cleaning equipment is truck mounted and designed to make sure your carpets, rugs & upholstery are clean and sanitized. Best of all, there is very little down time which means your carpets, rugs, sofas, loveseats and chairs are ready for use in a short period of time without the worry of dirt, debris and soap residue being left behind by alternative methods of cleaning. Hot water extraction is the recommended choice of carpet and upholstery manufacturers and is regarded as an industry standard for providing a cost effective yet thorough clean of carpets, rugs and upholstery. 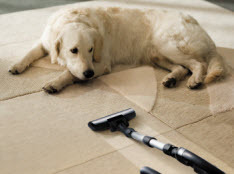 At Dixie Canyon Carpet Cleaning, our experienced technicians will provide a superior level of clean for you areas rugs including specialty rugs. Our rug cleaning specialists receive an extensive level of training to ensure they can identify fibers, color stability and the condition of your rugs before they begin the cleaning process. Our valuable knowledgeable and experience, along with quality equipment and cleaning solutions is one of the many things that set us above our competition. You will be pleased with the results we are able to achieve on your area & specialty rugs. At Dixie Canyon Carpet Cleaning, our professional mattress cleaning methods are designed to remove dust and germs including virus along with eliminating dust mites and their waste products. Dust mites along with their waste products can cause allergies and other respiratory issues, especially in young children. 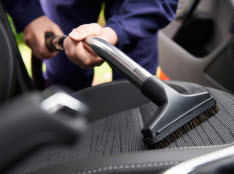 Our cleaning methods include a high pressure vacuum combined with a pre-treatment followed by a low moisture extraction to provide a complete and thorough clean. At Dixie Canyon Carpet Cleaning, we provide a full-service air duct cleaning so you and your family members can breathe clean fresh air without the worry of inhaling bacteria or other contaminants. Our professional air duct cleaning technicians will inspect your duct system before utilizing powerful equipment that is designed to effectively clean your air ducts and remove debris to provide your home with clean, fresh air. At Dixie Canyon Carpet Cleaning, our experienced tile & grout cleaning technicians will clean your tile until it looks like new. 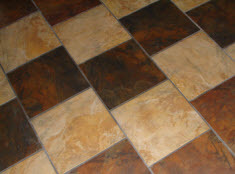 Our expert staff will evaluate the condition of your tiled floors, walls and other areas before commencing with an extensive cleaning process that begins with a complete surface clean using specialized tools attached to a truck mounted extractor system that is designed to remove dirt, grease and other debris. At Dixie Canyon Carpet Cleaning, our experienced wood floor refinishing technicians are the professionals when it comes to taking care of wood floors. Our revolutionary cleaning process will remove built up dirt and grime on your hardwood floors, and is specifically designed to leave your floors clean and sanitized and looking just like new. When you are in need of emergency flood and water removal services, you need look no further than the knowledgeable water restoration technicians at Dixie Canyon Carpet Cleaning. Our technicians have the understanding and knowledge to effectively contain and removal the water to minimize further damage. We can restore your living areas to their former appearance in the most cost effective and efficient ways possible.